Cheltenham Reflexology and Massage offer two therapeutic manicure treatments; the Therapeutic Hand Treatment and the Therapeutic & Nourishing Deluxe Hand and Nails Treatment. We use our hands so much and need to look after them. 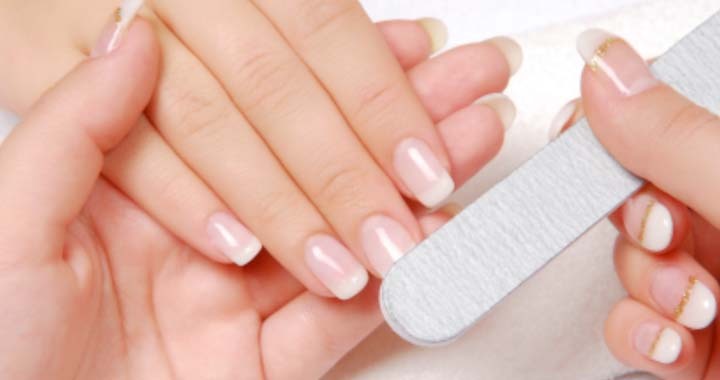 Our manicures include relaxing hand massage that will help reduce muscle tension and improve blood circulation. All this, in addition to tidying cuticles and nails. We’ll also offer you a lovely cup of tea, coffee or hot chocolate to enjoy, whilst having your feet treated. Have your nails and cuticles softened. Your cuticles will be trimmed and nails shaped. Your hands and nails will be moisturised and massaged to increase circulation and to reduce tightness that often accumulates. Choose to have your nails painted with varnish if you wish. Have your nails and cuticles softened. Your cuticles will be trimmed and nails shaped. Your hands and nails will be moisturised and massaged. We will apply a nourishing mask to your skin and then sit your hands into warm mitts. Choose to have your nails painted with varnish if you wish. Gel polish needs to be cured with a specialist lamp. We use Orly FX, which is enriched with Vitamins A, E and B5 to protect the natural nail and promote healthy nail growth. Orly FX is free from DBP, Toluene and Formaldehyde.